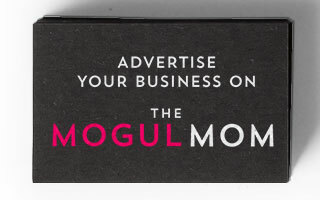 The Mogul Mom is a well-known business and lifestyle hub for mompreneurs everywhere. Every week, we deliver educational, actionable, inspiring tips, ideas, and information to thousands of entrepreneurs from all around the globe, both through our popular blog and our newsletter. Let us connect you to our amazing community of mompreneurs through creative advertising offerings like dedicated emails, website banner ads, sponsored posts, email ads, or a custom campaign to suit your unique marketing needs. It’s loaded with all new, budget-friendly options to get your business the exposure you need at prices you can afford. Please contact Gabriella at [email protected] to discuss marketing opportunities and custom solutions that can connect your brand with the abundant Mogul Mom community. We reach mompreneurs who make the buying decisions for their households, their business, their family, and themselves. Our readers are designers, inventors, bloggers, store owners, franchise owners, artists, and product and service providers. They are business owners who look to us to help them effectively and efficiently balance family and career through ideas, information, products, tips, tools, tricks, and services. Our content reaches an audience of thousands of affluent, educated mompreneurs, both in the United States and around the world. Our email open rate and click through rates are consistently higher than the industry average. Our comments, tweets, and shares are regularly in the double-digits. And our social reach is growing every day. As the internet grows, so, too, do the connections we create. Our growth rate helps us to build an ever expanding community and network of like-minded business owners who know that we’re all in this together.